How long is the cycle of the phases of the Moon? The Moon orbits Earth every 27.3 days, while Earth orbits the Sun every 365.25 days. 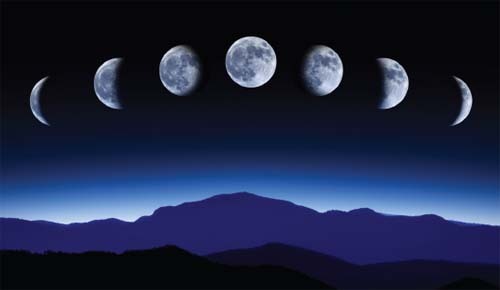 Those facts, combined with the fact that moonlight is actually reflected sunlight, causes the Moon to take on different phases over a 29.5-day cycle. The phases of the Moon occur because of the way the Moon orbits Earth and the Sun’s light strikes the moon at different times of the month.